A & J L - Glasgow "Thank you for your warm welcome on arrival. Thoroughly enjoyed the comfort of the B and B." J & M H - Cambridge "Wonderful again! Thank you so much for everything. See you next year." P & L H - Lancashire "The bestest B and B around. We will be back." D & S T - Cambridge "Lovely stay. Awesome views and fantastic accommodation. We will be back." Family J - London "Beautiful 5 star B and B. Thank you so much for your wonderful hospitality." M & T F - Western Australia "Brilliant, We will return!" J A Devon "This is our 2nd visit to this lovely farmhouse and just as good as ever. Everything 5 star"
R & M J - Lincs "Thank you for a lovely stay again." S &P B - Sheffield "Thank you for a wonderful two days. You have a beautiful home and we will be returning asap." J & M B - York "Dean and Jane you thought of everything. A superb place to stay 5 star plus." S S - York "My third stay. A wonderful welcome from Dean and Jane - Scar Close Farmhouse feels like a second home. Also paid a second visit to Oxenber woods where the wild flowers were a delight." N & S J - Lancs "A wonderful relaxing stay, Amazing breakfast. Extremely satisfied and will definately recommend." J & A A Hants "Jane and Dean couldn't do enough for us, so friendly - Thank you, see you again." K Family - Lancashire "A beautiful b & b and great attention to detail. Our toddler felt very welcome and loved the farms. Highly recommend this b and b to families." D & A J - Brussels "Wonderful, peaceful setting. Very comfortable room. Super yummy breakfast." J & E E - Yorkshire "Lovely stay, wonderful place, exceptional hospitality. Thank you ever so much." CG - Perth, Australia "A warm welcome and a great B and B in a lovely location. What more could one ask for?" P & L H - Lancashire "Everything top-notch as usual. Thank you Jane and Dean. See you soon." P &P - York "A very comfortable room with everything we needed as well as a communal lounge to relax and meet with our friends." E&J D - Lancs "Another wonderful stay. Room and food lovely again, will certainly be back!" R & M J - Lincolnshire "Lovely stay again. Wish we could stay longer." WR & SP - Surrey "Fabulous base for our 3 Peaks challenge. Great hosts and comfortable beds." C & B G - Staffordshire "Fabulous! The best b&b on Dales High Way." FL - London "Awesome place. We'll tell everybody!!!" RF and family - Lancashire "Fabulous. Everything top notch! Recommend to family and friends." A & J P - Devon "One of the best B&Bs we have stayed in years! Jane and Dean are excellent hosts." CD - Nottingham "Perfect stay and great hospitality. Thank you." R&K B - Norfolk "Thank you Jane and Dean for sharing your lovely home with us. Everything has been perfect." C&J D - Lancashire "We loved the accommodation. First Class! We'll be back." ST - Yorkshire "The breakfast was exceptional, great location and such a relaxing stay." SS - Yorkshire "I will never forget the sight of the woods, full of bluebells, primroses, wild orchids - Beautiful!." P T - Hong Kong "Great place, good food. We've had a lovely stay here. CG - Cheshire "Beautiful location, lovely place, super people - Thank you." DC - Lancs "A wonderful welcome and excellent facilities. I would recommend this place to anyone." E & J D - Greater Manchester "Fantastic few days, truly stunning place and lovely, warm welcome and service. Will be back hopefully for longer next time. Thank you!" M & G, J & M - West Sussex "Thank you so much for our stay in your very comfortable and welcoming home. Idyllic setting"
J & R B - Cheshire "Another wonderful stay. Many thanks." R & M H - Oldham "We've so enjoyed our break... Your warm welcome to your beautiful home along with excellent weather, fantastic scenery, primroses and lambs, have all contributed to a most memorable stay. Thanks." P & L H - Lancs "Thanks for a wonderful stay. Everything perfect. We will be back." R & G W - Derbyshire "Thank you for a very comfortable stay and for looking after us so well. It is a wonderful setting and hope to return." 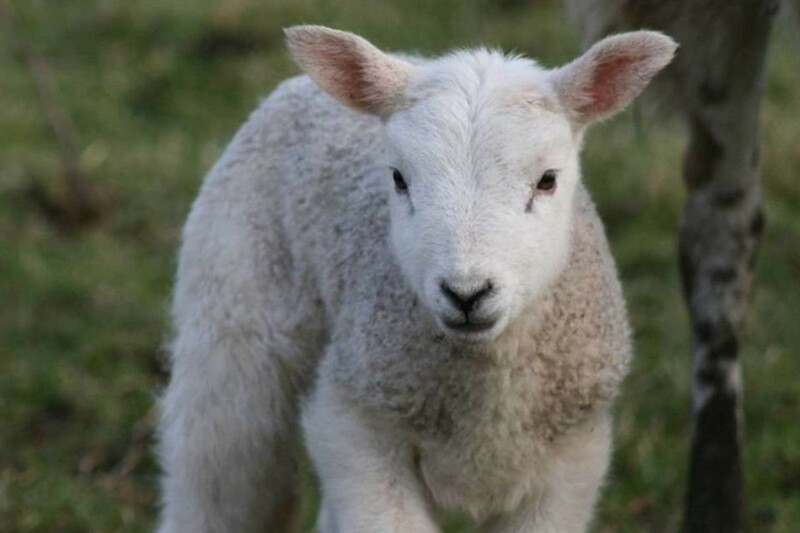 C & M S - Yorkshire "Lovely hosts, very comfortable nights sleep and love the baby lambs. Can't wait to come back in the summer."